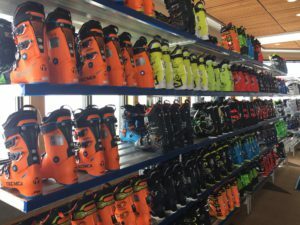 At Realskiers.com, we consider it axiomatic that skiers should entrust boot model selection to a competent boot fitter, rather than trying to negotiate the labyrinth of the current market in hopes of unearthing the magic slipper that will provide the elusive perfect fit. The hunt for the ideal boot is analogous to the search for health care; the skier who wants the best care should be looking for the right doctor, instead of researching prescription medicines that may or may not be curative for one’s condition. Stretching this comparison a bit further, the autodidact who seeks to self-diagnose must depend on authoritative sources and be able to analyze the data with the same level of acuity as a board certified physician. The MasterFit Boot Test subjects waiting for the games to begin. When it comes to ski boots, there is but one authoritative source, the annual MasterFit Boot Test. There is no other exercise like it anywhere in the world. If you do your gear research online, you’ve probably already found America’s Best Bootfitters, where MFBT long-form reviews have appeared for many years. If you’re an aficionado of print, you may have read a drastically edited version of these same reviews in the pages of Skiing and SKI. Alas, Skiing is no more, having been euthanized by its parent company, and SKI has elected to part ways with MFBT. While this event is unlikely to improve SKI’s boot coverage, it ought to prove liberating for the MasterFit team who will no longer have to participate in diluting their content to meet the strictures of print. But what’s the point of a deep dive into an ocean of boot data if at the end of the day a bootfitter is going to direct your boot model selection? Because, despite appearing similar, alpine boots are remarkably differentiated and learning about their differences is bound to be instructive even if the exercise doesn’t distill model selection down to a single, optimal choice. A good boot review doesn’t just recite a litany of standard features, but delves into the minutia of dynamic fit and the particulars of energy transfer. This still doesn’t tell you if any given boot is perfect for you, but it may help to eliminate some models from consideration and promote others to your ‘must try on” list. Perhaps the greatest benefit to boning up on the current market is it should instill in the reader a fully operational b.s. meter. 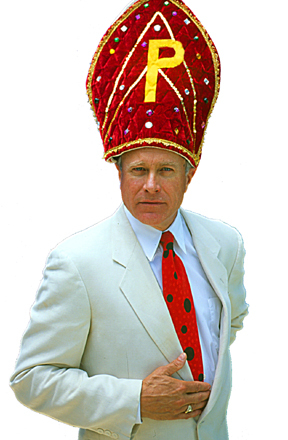 Should you find yourself in the hands of the misguided, misinformed, incompetent or flat-out kooky, internal alarms will sound. Like the folks at MasterFit, Realskiers.com is in the education business. Both of us believe in the intrinsic value of experienced, well-trained staff. By providing authoritative, high quality content, both MasterFit and Realskiers strive to educate and edify their readers so they can more effectively engage with the personnel at the best shops in North America. Realskiers and MasterFit earn their credibility the old-fashioned way: their knowledge is grounded in the hands-on experience of dedicated professionals who test each product they review by taking it out on the hill and putting it through its paces. For Realskiers, ski testing is a season-long process. For MasterFit, their annual rite of spring is unfolding as you read this. I rolled into Bend, Oregon on Sunday night and was on the snow Monday morning to kick off 5 days of toes-in-the-snow boot evaluation. For some this must sound like a sport practiced in the seventh ring of Hell, but for this veteran boot tester, it’s 5 days of heaven.